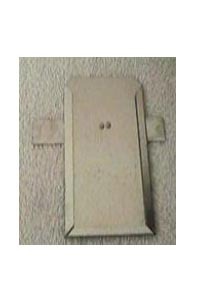 Metal holder to fasten business card to carry cages. Holds a 3" x 5" card. SAVE!! Quantity discount of 5 cents per item on purchase of 3 or more. 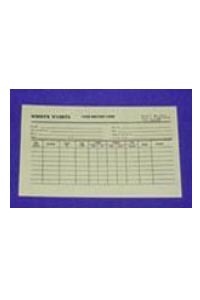 100 3" x 5" hutch cards. Use to keep record of your rabbit. Metal holder for 4" x 7" record card. SAVE!! Quantity discount of 5 cents per item on purchase of 3 or more.